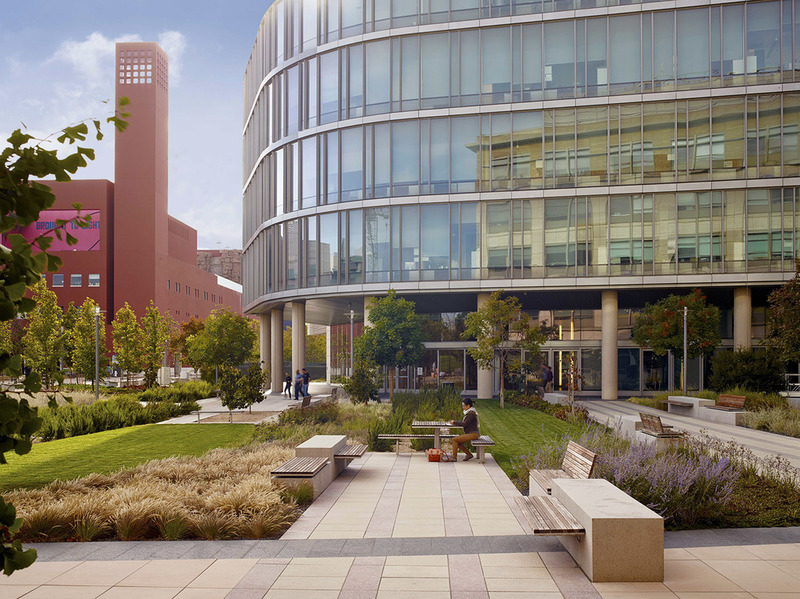 Building on UCSF’s Campus Master Plan & Design Guidelines, the plan for the Mission Bay Campus Neurosciences Building and Rock Hall site creates a Garden Courtyard which accommodates varied and multiple circulation patterns and provides opportunities for small and large gatherings within a verdant setting. Sweeps of planting, based on the former ‘tidal flat’ landscape of Mission Bay, form the core of the Courtyard Garden. Maximum space is given to this central area, which features native and adaptive plants and many ‘built-in’ places to enjoy shade or sun. 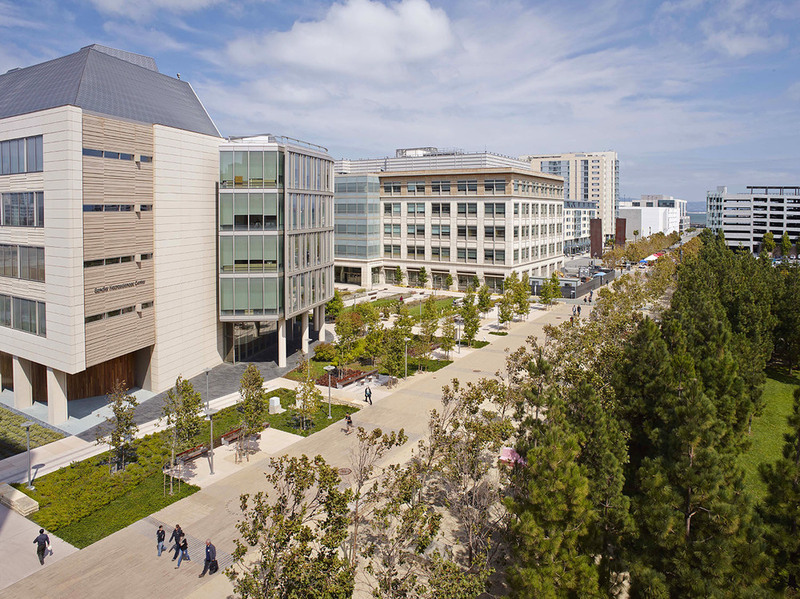 An existing allée along the main Campus circulation is opened up with south-facing sitting areas; major circulation paths are expressed, creating connections with established pathways from the Quad; and smaller east-west paths encourage navigation through the garden. 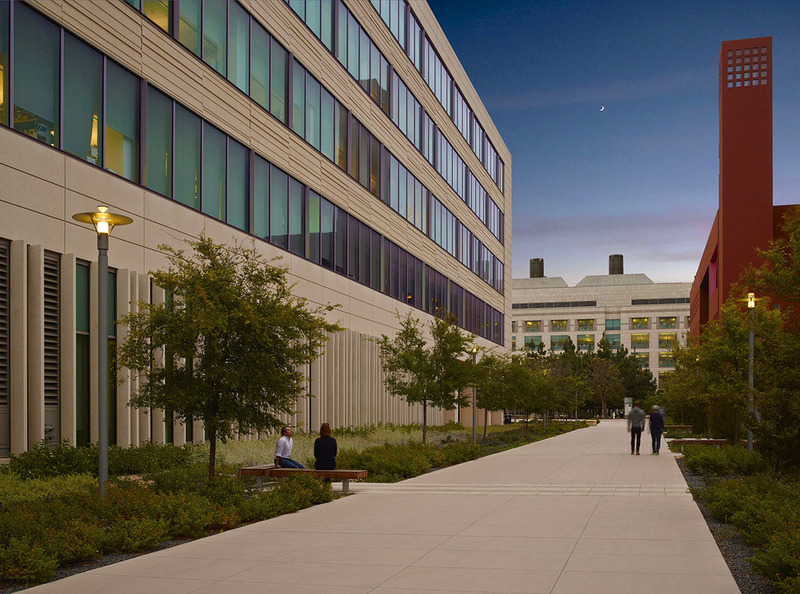 A linear stone walk feature edges the path to the main atrium entry, while multiple options for large group gatherings are accommodated under the building canopy and plaza area adjacent to the Neurosciences Building auditorium. 5th Street becomes a pedestrian path linking to Mission Bay Commons and the broader neighborhood.